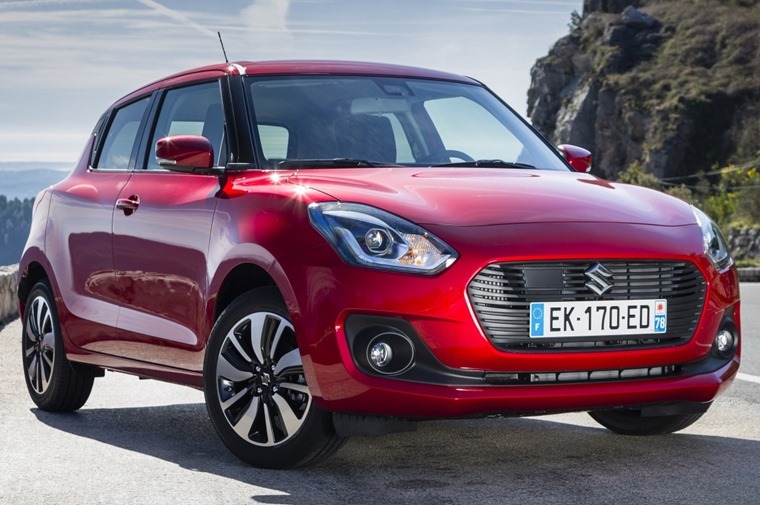 Suzuki has taken everything that was good about the old Swift and made it better. A very compelling option indeed. Suzuki is a brand that can seemingly do little wrong right now. It offers great value, good products, and is currently refreshing or replacing its entire range. We’ve had the keys to the funky Ignis, the sensible Baleno, the fun Vitara and the practical S-Cross within the last 12 months. Now it’s the turn of the Swift, a Fiesta-sized hatchback that already had little wrong with it, especially in Sport spec. There’s no Sport version of the new model, at least yet; we expect to see it at the Frankfurt motor show in September. In the meantime, that leaves us with the the models that most people will actually choose, powered by a choice of either a 1.2-litre four-cylinder or a punchier 1.0-litre three-cylinder engine with the option of a bit of electric hybrid power to boost it along. 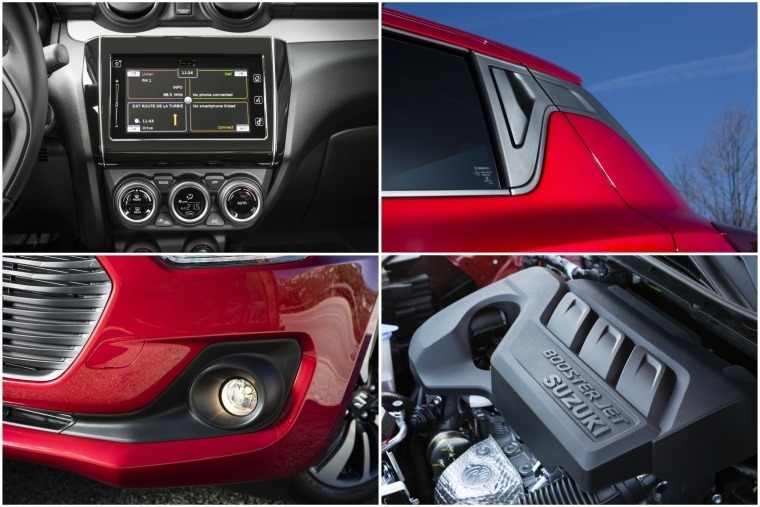 Being so tiny, and bolted onto Suzuki’s high-strength steel ‘Heartect’ chassis, means the Swift is incredibly light. Some models dip under 900kg, with this hybrid powered model tipping the scales at just 925kg. A forthcoming 4x4 version will still be less than a tonne, and that lightness brings myriad benefits for owners and drivers. Demanding mountain roads still saw the on-board computer reading north of 50mpg. Those of a more frugally sensitive nature will appreciate that an engine shifting less weight around should use less fuel, and officially the 1.0-litre hybrid will return some 65.7mpg. That might seem optimistic, but driving the car around some demanding mountain roads still saw the on-board computer reading north of 50mpg. Those of a sporting bent will know that lightness translates into more performance and, while the Swift won’t set any speed records, the lack of mass means the car dives around corners with enthusiasm and accelerates away from lights with a zestiness that belies the diminutive engine size. Performance is hindered slightly by a five-speed manual gearbox that isn’t as slick as it could be and leaves long gaps between ratios - the six-speed box was rejected on weight grounds - but the torque available at relatively low revs masks some of that. The lack of mass means the car dives around corners with enthusiasm. 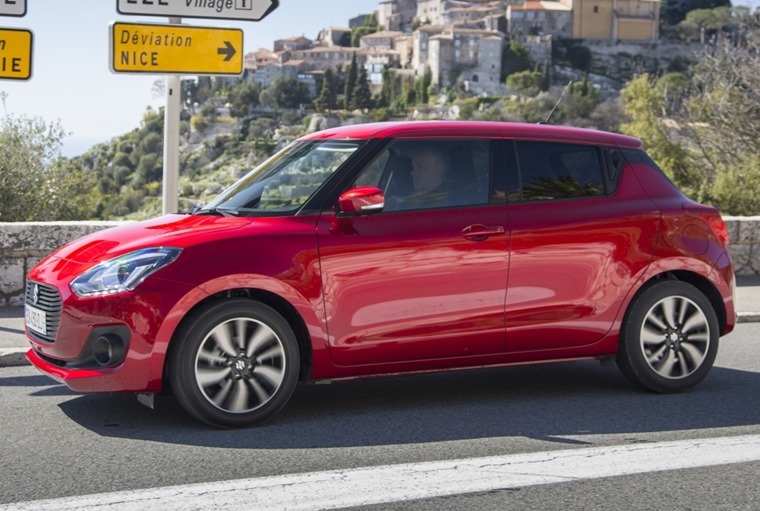 Weight saving helps comfort, too, with the chassis engineers at Suzuki able to endow the Swift with a less firm suspension that might be required on something carrying an extra 300kg around, without affecting those sporting pretensions. The unsophisticated rear suspension can crash over uneven surfaces, and the steering lacks any real feel, but there’s a general suppleness to it all that pleases. A car this size needs to perform many other tasks than simply being engaging to drive, and Suzuki hasn’t forgotten that. Longer, lower and wider than the outgoing model, there’s more space inside for all and a lower seating position for those up front. 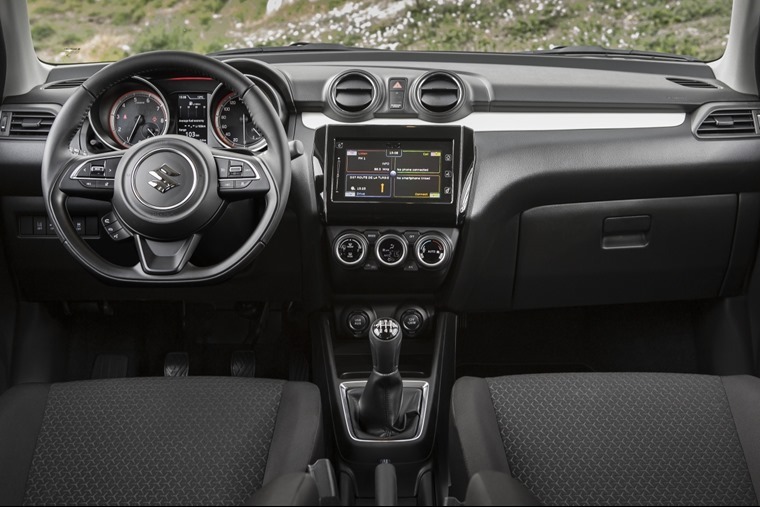 The cabin itself is attractive enough at first glance, with a large touchscreen dominating proceedings above traditional rotary controls and twin dials in the instrument binnacle. There’s more space inside for all and a lower seating position for those up front. Look closer and, while the build quality is top notch, you’ll find the choice of materials to be rather cheap and that infotainment system takes some effort to figure out. Disappointingly, Bluetooth connectivity isn’t standard on every model. That's available on the mid-range SZ-T grade, while this SZ5 model includes delights such as autonomous emergency braking, automatic headlights and main beam, adaptive cruise control and lane departure warning, all safety equipment you would expect to see on cars that cost at least twice as much as the Swift. Suzuki has taken everything that was good about the old Swift and made it better. 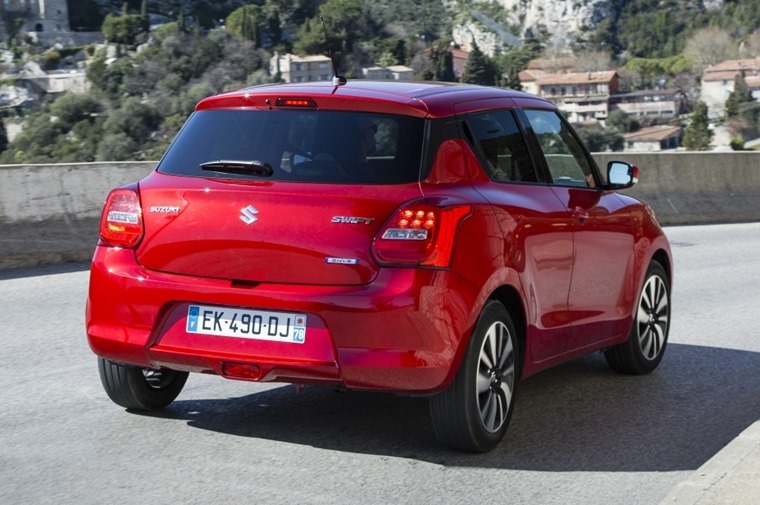 Suzuki has taken everything that was good about the old Swift and made it better. Flaws are few and far between, and even then they’re not particularly serious. The car will hit showrooms on 1 June, although lease prices are yet to be confirmed. As long as any price increases over the outgoing model remain modest, then the new Swift is a very compelling option.